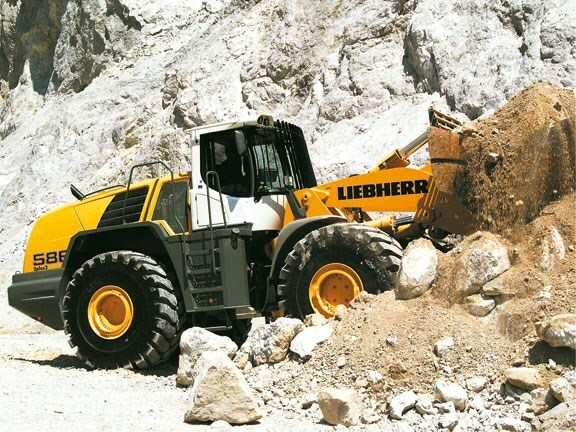 Liebherr offers a complete range of wheel loaders with operating weights from five to 32 tonnes. With a compact articulation angle of 30 degrees, they can move heavy payloads. The range offers bucket capacities from 0.5m3 to 2.5m3 and can be configured with parallel linkage and quick couplers for multi-tasking. Liebherr wheel loaders can be used in civil engineering, landscaping, material and waste handling, demolition, quarrying and mining applications. The flagship sixth generation series, the L524 to L586, encompasses 10 loaders. The hydrostatic driveline is the driving force behind the very low fuel usage and has the additional benefits of low tyre and brake wear. The hydrostatic driveline also eliminates the requirement for a traditional torque convertor transmission assembly, thereby reducing the overall oil content per machine, which reduces operating costs. Liebherr wheel loaders offer cabin comfort with modern design and ergonomics, increasing productivity and performance of operators. This includes maximum visibility, lowest noise emissions in the market, and single leaver control as standard. Servicing is also made easier by the convenient positioning of major components accessible from ground level. 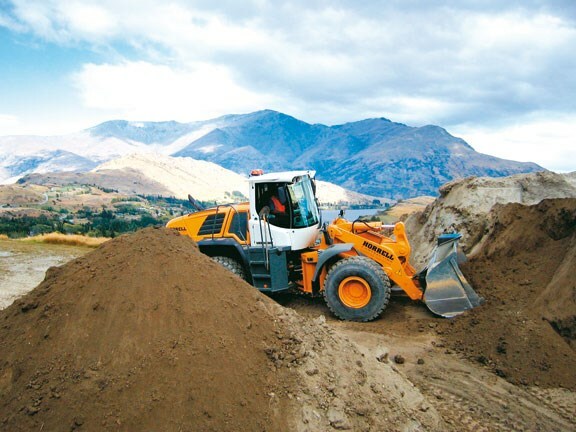 Tim Callaghan, Liebherr New Zealand says that the Liebherr wheel loader range offers the lowest operating cost per tonne. "Because of their unique low centre of gravity due to engine placement, Liebherr wheel loaders enjoy a higher static tipping load than their competitors for similar weight machines. "Hydraulic breaking action has all but eliminated brake wear, which has a significant maintenance cost advantage when operating on inclined surfaces. In addition the operator can maintain a consistent rev range with the 2plus2 drive system. This allows for better penetration in to the stock pile without changing gears and minimising tyre wear through slippage," he says. "The combination of safety, comfort and economy offers an undeniably attractive wheel loader package for today’s cost-conscious client. "We have stock available for immediate delivery with some current pricing specials." 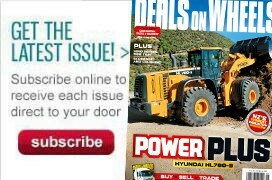 To read in-depth machinery reviews, see the latest issue of Deals On Wheels magazine.